A fascinating but largely under advertised orchestral show took place in San Pedro, California this past Saturday May 16th. The 2 hour show was performed by the Golden State Pops Orchestra alongside the Southern California Master Chorale. On top of this, many of the songs were Orchestrated by the original composers of the music. We had Christopher Tin conducting his amazing track Baba Yetu from Civilization IV, Wataru Hokoyama conducting his self titled theme from upcoming game Afrika, and many more. The night kicked off early with a short Q and A session with Russell Brower (composer for World of Warcraft) and Laura Karpman (composer for Everquest II and Untold Legends: Dark Kingdom). They discussed things like how they got their start in the business, how it is to compose songs for games as opposed to movies, and some of the favorite jobs they have had the chance to work on. After that the orchestra came out and started tuning their instruments. A quick glance around the room showed that there were not too many people compared to the size of the venue. Unfortunate because it was definitely a night to remember a I will try to detail below. So the lights faded, Conductor Steven Allen Fox introduced himself and spoke a bit about the venue, the orchestra, and about gaming music and how it has changed over the years and that many people still have a hard time believing it has come so far. He then turned to the orchestra and began the first song. Bounty Hunter from the game Advent Rising kicked off the show. 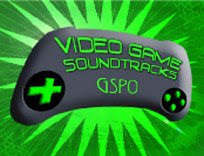 Originally composed by Tommy Tallarico (of Video Games Live) and Michael Richard Plowman. The piece kicked off the night well, and seemed to set the tone for the rest of the evening. The song also seemed a homage to Tallarico and everything he has done for VGM with Video Games Live. The following song, composed and conducted by Wataru Hokoyama, is the title theme Afrika from the upcoming PS3 game Afrika. As you can imagine, the song took us on an adventure through the fields and jungles of the African continent. This lead into another track from another as yet to be released title, Red Faction Guerrilla. The song, aptly titled Red Faction Guerrilla Suite was an impressive war like theme style composition which led through a path of moods both excited and somber. Composer Laura Karpman was in attendance for the concert to see her composition O'er Thai Landis from Untold Legends: Dark Kingdom performed by both the GSPO along with the Southern California Master Chorale. The song was a softer theme, but the inclusion of the choir definitely brought the concert into a new stride. Next up was a big highlight of the concert. The first song to really make use of the enormous screen above the orchestra, which so far had gone practically unused. The End Begins (To Rock) from the God of War II soundtrack, and later the Guitar Hero III game, composed and conducted by Gerard Marino. The very rocking version of the track was very impressive and was accompanied by an on screen GH performance! You can see for yourself below as I was lucky enough to get a good chunk of footage from the song. Another highlight of the concert for me was the rendition of Baba Yetu from Civilization IV. I have never played Civ IV before (and probably never will) But Composer Christopher Tin really makes some phenomenal music which can even be enjoyed completely outside of the context of the game. Another highlight was that Chris Tin was in attendance at the concert and conducted his own piece of work. Luckily he also had someone record the footage which you can check out on his Youtube page. After the intermission we were met by Christopher Lennertz conducting music from two soundtracks he composed. First up was the Main Title from PS3 game Warhawk, followed by Gun Suite from the game Gun. Main Title is a daunting war theme that matches the dog fighting theme of Warhawk, while Gun Suite seems to evoke the wild west by adding a guitar, dulcimer, and fiddle to the orchestral mix of instruments to good effect. Steve Allen Fox returned to the stage after this to perform what may arguably be the most well known music in the entire show. Fox arranged and conducted a medley of songs from Final Fantasy, The Oath & Aeris' Theme, both composed by Nobuo Uematsu. Coming into the show I knew that there would be some Final Fantasy tunes, but I was glad to see some lesser used works from the series performed. The medley started with The Oath from FFVIII and blended amazingly well into Aeris' Theme from FFVII. I was able to record footage from this piece of the performance as well, so you can enjoy that below. This piece was followed by what may be the highlight of the show for me. If you know me, you know I am a huge fan of flOw. Austin Wintory, composer of flOw, was in attendance to introduce and conduct the specially arranged song for the concert. The song is known as The World of flOw. Seeing an indie game like flOw, with it's ambient laid back gameplay presented alongside some high production, high profile games was definitely a treat. The large screen was used again for this song, and showed footage of flow alongside the Orchestra and Choir. I also had the chance to record this song, and definitely recommend you give it a listen! At this point Wataru Hokoyama came back on stage to perform another piece from the upcoming game Afrika. This time we were greeted by the song Savanna, another large majestic theme from the game. The whole show wrapped up with Steve Allen Fox taking the stage for the final time to conduct the Main Title from World of Warcraft: Wrath of the Lich King, which was composed by Russell Brower, who was also in attendance in the crowd. It was a phenomenal and epic song to end the night on. The show went out with a bang with this sweeping ten minute song that went from epic, to tragic, to epic again. With that the concert concluded, and to many standing applause as well. The concert was a really fun experience and it was a bit disappointing that there was not a larger attendance. It was understandable though as the show was not heavily promoted and even I wasn't informed of it until about a week before the show, by my friend AppleMonkey, who stumbled across the news on accident. The venue was amazing though, the indoor theater made for an intimate and relaxing atmosphere. It was a pleasure to get to see so many of the composers have the chance to conduct their own songs live, which I think was the real highlight of the show and what I think most set it apart from other VG concerts. From what I understand this was the second time the Golden State Pops Orchestra has done a show dedicated to video games, and I definitely hope they do another one sooner than later, as I was definitely impressed with the whole thing! Also have to mention, special thanks to my pal AppleMonkey for actually informing me about the concert and driving us down to the event!